Burn to DVD Disc, ISO file. 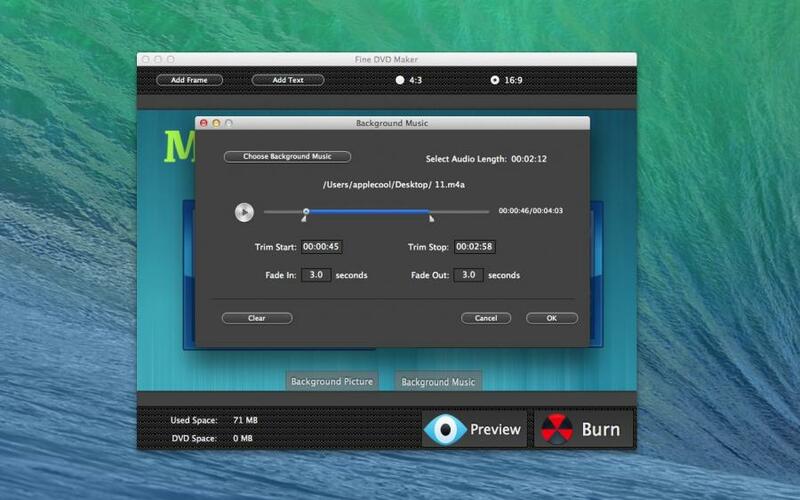 Fine DVD Maker can burn almost all format's videos and movies into a blank disc. 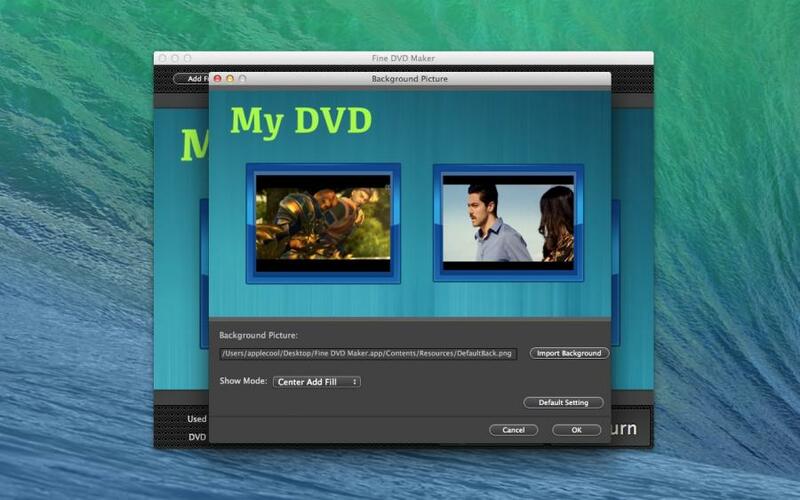 Custom the DVD menu, add background music and change background picture. You can custom your frame and add text on you DVD menu . 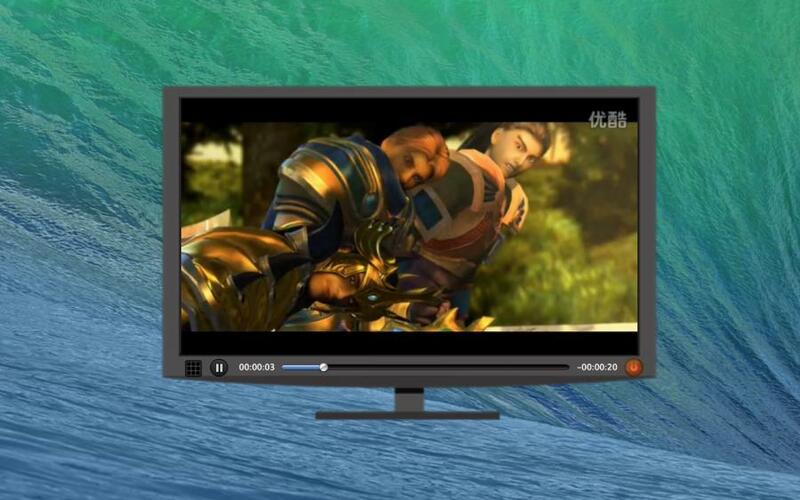 Supports almost all popular videos’ formats to burn into a DVD. 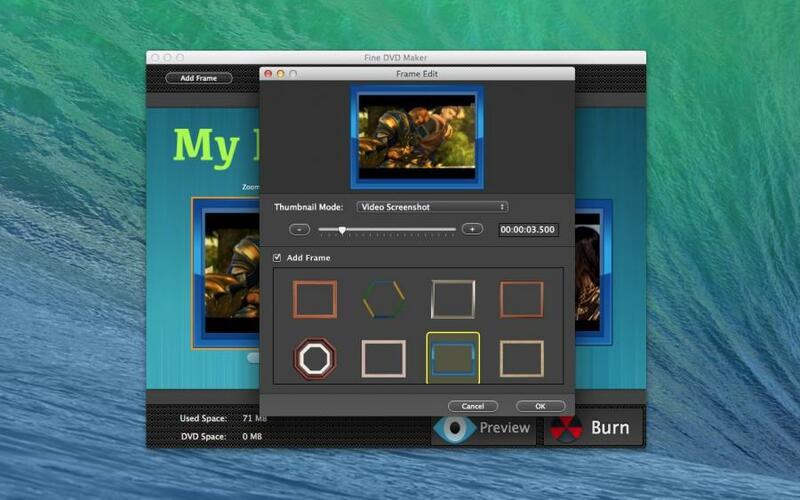 Support burn to DVD or export to local ISO file . 3. Custom background music and picture. 5. Before burn video to DVD you can preview the effect in the app . 6. Add text on DVD menu. 7. Support 16:9 and 4:3. 8. Support NTSC and PAL.